Have you ever been buzzing with creative energy, feeling motivated and inspired.. but when the moment to actually put pen-to-paper or brush-to-canvas arrives, you’re suddenly overwhelmed by the feeling that whatever is about to happen on that page or canvas won’t be ‘perfect’? That you’ll be disappointed with the result? Suddenly starting doesn’t seem like a good idea anymore, so you procrastinate, or find a distraction and eventually the urge to create dissipates. I’ve been there so many times. 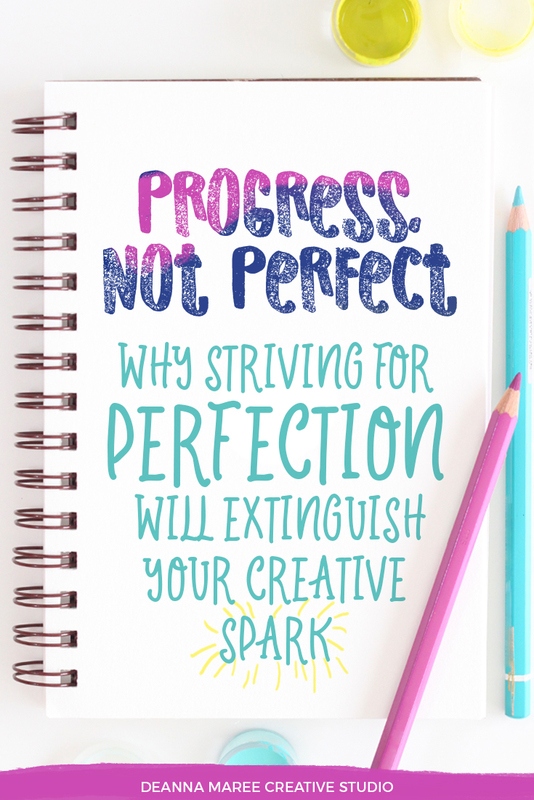 The idea of ‘perfect’ can really put a dampener on that creative spark. If we set out to create with unrealistic expectations, the dread of making even a small mistake becomes overwhelming and it often leads us into a cycle of procrastination. The pressure to create something that is just right can be paralysing, and often we don’t even begin. As much as we’d like to think that perfectionism is all about having high standards, it usually all comes down to fear. The fear of failing, or not being good enough in some way. Elizabeth Gilbert writes in Big Magic that perfection is just “fear in fancy shoes and a mink coat, pretending to be elegant when actually it’s just terrified.” Underneath the surface, perfectionism is just that little voice repeating over and over “I’m not good enough”. The thing is, there’s no such thing as perfect – everything is flawed. Striving for perfection is always exhausting and time consuming because it’s an unattainable, unrealistic goal. Don’t let the idea of perfection stop you from getting started. Focus on progress, not perfection. Give yourself permission to play, explore, experiment and embrace imperfection. Just start somewhere, and don’t be too focused on the end result. Enjoy the feeling of the paintbrush swirling through the paint, and take notice of the way all kinds of magic happens on a palette, or page if you just let it. So start small, and start now. Just enjoy the process, and instead of striving for perfection, just focus on making a little progress. Once you let go of ‘perfect’, you’ll find that your creativity will be unleashed and the paint will flow! 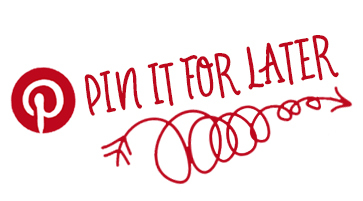 I’d love to know, how do you push past your inner perfectionist and get started? Tell me below! Well now Deanna, that’s just what I needed. Often we read about being stymied and unable to move forward with just playing with paint. As a beginner I try to find a picture and re-create it, which doesn’t allow—-me at least—-to be free to play. Sure I’ve played with paint strokes when understanding what a brush can do, but never just sat with an idea and tried to put that to paper. Guess I never thought my own idea/s could produce what I something I’d like. So, think I’ll try painting from this new perspective. Thank you for your wonderful encouragement. So glad you found this helpful. I have a similar struggle, and I need to re-read my own advice!